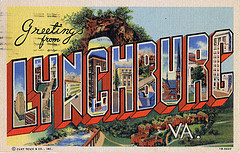 A wonderful family oriented organization with a strong Christian heritage has asked us to support their quest to find a Senior Accounting Manager based at their corporate office location in Lynchburg VA. This position is critical for the future development of the organization. The organization is profitable, poised for growth and has a strong presence in their niche market. Manager of an accounting team comprised of 4 accounting professionals. Handling day to day tactical and strategic functions of an accounting office. Mergers and acquisitions including due diligence is a must. Must have managed preparation and posting of journal entries as well as account reconciliations. Skills in managing and forecasting account analysis for month-end close reports. Must have experience in the preparation of quarter and year-end reports as well as the intricacies of managing the preparation of audit schedules. Ideal candidate will have 8-12 years of experience. Strong analytical skills with the willingness to take on new challenges with a positive attitude. Must demonstrate the ability to meet and exceed deadlines. The candidate will possess problem-solving skills good communication skills. Candidates possessing “Servant Leader” managerial skills are preferred. The recruitment process will be stringent and require our review of wonderful references, will require extensive and in-depth interviews, a thorough background check and a personal personality profile review. If you are up to the challenge please send us your credentials and current compensation in confidence to: MGriffin@InHISNameHR.com we will be in contact with acceptable candidates. Please know due to the incredible response it may take time to review all applicants. Kindly refrain from phone calls.